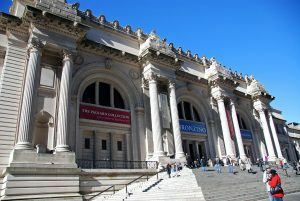 Event Description: A captivating site for a corporate team building event, the Metropolitan Museum of Art (often referred to simply as ‘the Met’) is one of the world’s greatest art museums, rivaling the Louvre and Hermitage. Perfect situated on the eastern edge of Central Park, the Met first opened in 1872 with a Roman stone sarcophagus and 174 paintings. Today, the Met measures almost a quarter mile long and occupies more than two million square feet. Represented in the permanent collection are works from classical antiquity, Ancient Egypt, the European and American masters, modern art, African, Asian, Oceanic, Byzantine and Islamic art, musical instruments, weapons and armor…and that’s just the beginning! During your corporate team building treasure hunt…you may encounter the imposing Temple of Dendur; an elegant Chinese courtyard; a golden harpsichord; Assyrian ruins and so much more! Gather outside the museum on 5th Ave.